More than 30 million Americans are functionally illiterate—including 3.4 million New York State residents who are illiterate, lack a High School Diploma or its equivalent and may be unable to speak English. The social and economic toll is enormous, yet sadly little attention is paid to this fundamental social issue. Our role at Literacy New York is to raise public awareness of adult literacy, and work to increase funding, expand programming, and promote effective public policy. Our efforts are ongoing, throughout the year. 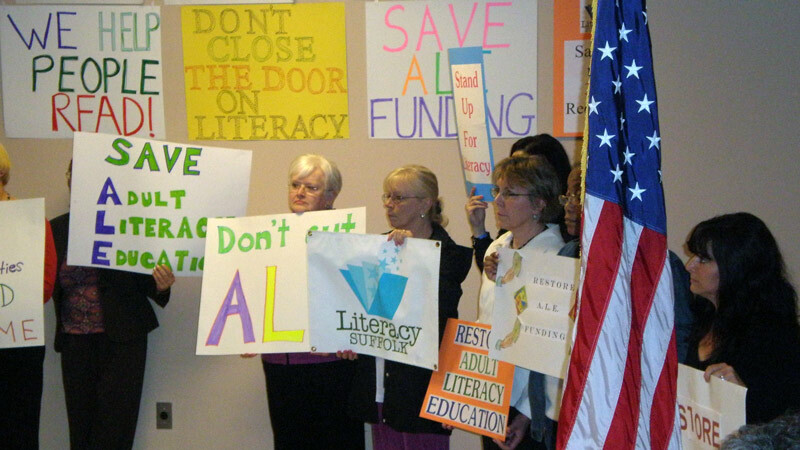 A main focus is our work--with a coalition of adult literacy providers--at the New York State level.